HPI Brama 18B Buggy « Big Squid RC – RC Car and Truck News, Reviews, Videos, and More! 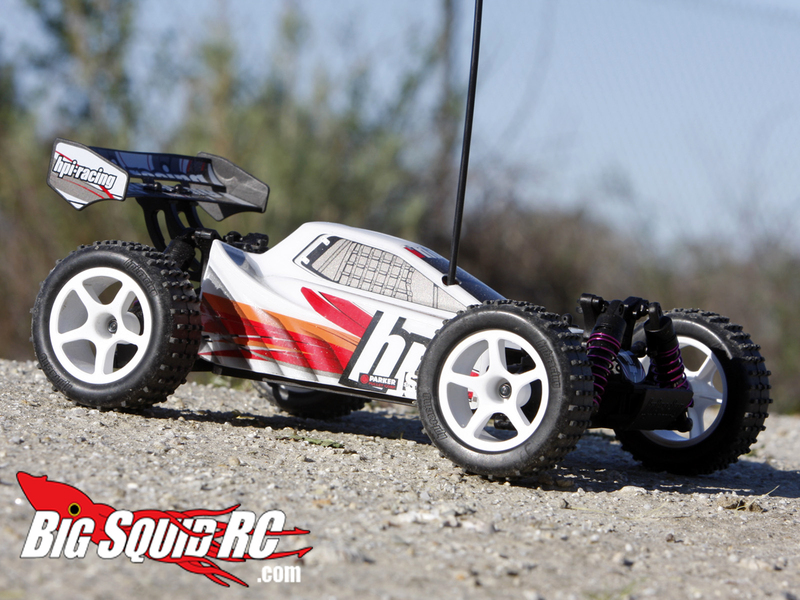 HPI Racing first made its name in the mini market with the Micro-RS4. It’s been some time since the shrink ray has been out, but HPI is at it again with the Brama 18B Buggy. Just like big Brother, the Brama 10B, the 18B is loaded with features. A shaft drive 4wd system provides power to front and rear differentials for even power distribution. The whole drive train rides on smooth ball bearings. This little buggy gets the full RTR package. The prebuilt buggy includes everything you need to get going, just add AA batteries for the transmitter. The body and rear wing come pre-finished, painted and decaled. Knowing HPI, this little car will hold up against everything you throw at it. The center shaft is sealed, making maintenance a bit easier. It should start hitting the shelves mid September. Check out the official HPI Racing web page for more info!